Does Perimeter Captain's ability stack? I don't see Perimeter Captain ? 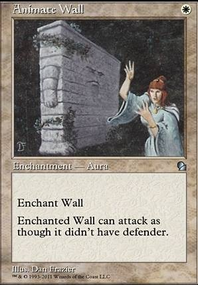 Portcullis Vine would be much better than Wall of Mulch , since not all your defender creatures are walls (such as Axebane Guardian , Drift of Phantasms , or Perimeter Captain ). Also, Drift of Phantasms really doesn't fit what you're trying to do here. Sure, you could fetch Blue Sun's Zenith , Axebane Guardian or Freed from the Real with the transmute ability, or enjoy its ability to fly, but there are better walls in blue (that don't cost 2 dollars apiece). I'd suggest getting a lower-CMC wall (Maybe Suspicious Bookcase ?) that gets you the utility you want for cheaper. 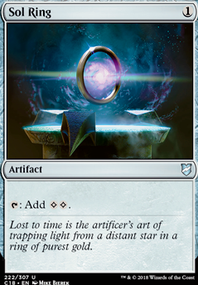 I say this because although you have here a ready-built infinite mana combo ( Freed from the Real + Axebane Guardian ) that Drift of Phantasms could enable, you're not using it for anything. Do you really need Freed from the Real on all those turns where you stall out and draw lands instead of more defender creatures? You might also consider running High Alert here instead of (or alongside) Assault Formation , since Assault Formation costs green to enable defenders to attack while High Alert does not. Just a thought. Yes, I just put Axebane Guardian in last night and game testing it. It made a huge different in the deck! X any colors of mana is a super helpful on mana fixing! Totally agree with you. Doorkeeper and Vent Sentinel can be a good one to add in for extra winning condition, I had try to put in different type of defender with color mana, but still colorless wall feels more consistent to me, if you have any idea to adjust to deck so that I can play different color defender would be great. 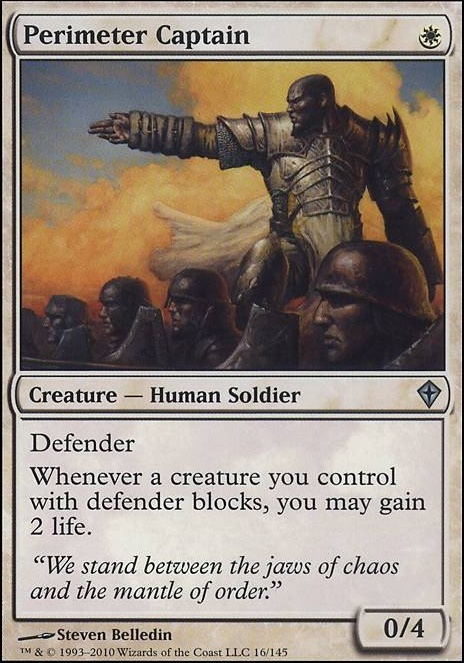 Currently I am thinking about going for life gain defender, which is focus on white. 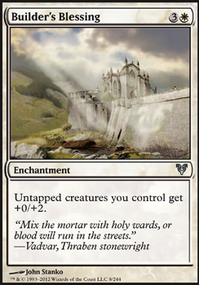 such as Fortified Rampart, Jeskai Barricade, Order of the Stars, Perimeter Captain, Pride Guardian, Stalwart Shield-Bearers, Wall of Essence, etc. Perimeter Captain is also good both as a one drop and can be useful in certain matchups. It also has defended for Arcades, the Strategist and Axebane Guardian. Emeria, The Sky Ruin: A land with amazing synergy with all the 1-mana wonders. Immortal Servitude: Mass reanimation for 4, with the ability to stretch for bigger creatures in case a game goes long. 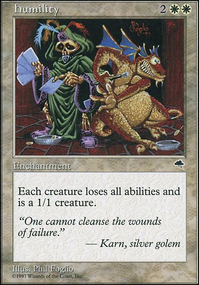 Suture Priest: A slightly more expensive, evil version of the sisters. Also punishes massive hordes of tokens, and the life loss can really add up. Perimeter Captain: Even if he's the only defender, he can discourage early attacks and hold the line until your Pridemates or Ascendants are ready. Personally I like Noble Hierarch over Sylvan Caryatid for early mana generation, but that's just me. Perimeter Captain is also a good 1-drop here.